The Revenge Games series by MV Kasi bowled me over with the depth of emotions I felt reading this one-of-a-kind series that is definitely one of the very best that I have read in a long, long time. 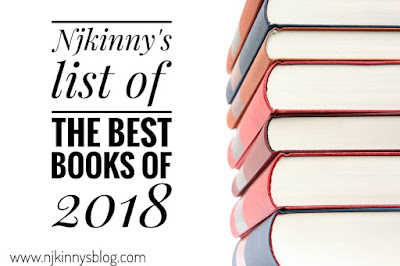 Deserving to be placed in Njkinny's List of The Best Books of 2018 read my thoughts on the second book, Ruthless, in this amazing series and go grab it to read now! Ruthless by M.V. Kasi is the sequel to Soulless and continues the story forward with more secrets revealed and even more twists and turns that take your breath away. This is indeed a ruthless story that ruthlessly extracted intense and a myriad of emotions from me. I cried my eyes out; felt angry at the injustice and cruelty of society; prayed like anything for a happily-ever-after for my favourite couple and then prayed some more so the real villains got what they deserved! A through and through memorable book, the ending left me feeling content and overjoyed to see justice prevailing and happily-ever-afters achieved. Fast paced with crisp narration, MV Kasi again shows her writing prowess in this book and made it a book worthy of being featured in Njkinny's list of the Best Books of 2018! 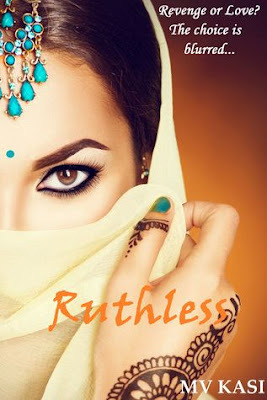 5 super shiny stars out of 5 to Ruthless by M.V Kasi and Njkinny recommends it to all romantic suspense lovers above the age of eighteen. Don't wait even a second and go grab the Revenge Games series now! "The symptoms of loving and hating someone are the same too. For example, the stomach twists at the thought of them. The heart beats faster at the thought of them. They make you lose sleep and appetite at the thought of them. And during every interaction with them, you lose control of your mind and body. You'd be so consumed by them that you cannot think of anything but them."